We have all had pesto before, but have you ever tried adding split peas to it? It adds a wonderful flavor as well as a boost of protein. 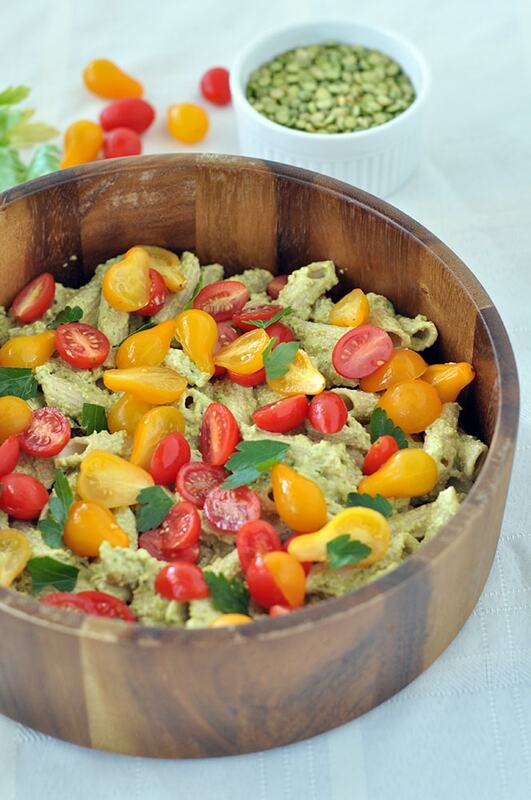 This Green Split Pea Pesto Pasta Salad is a must make! 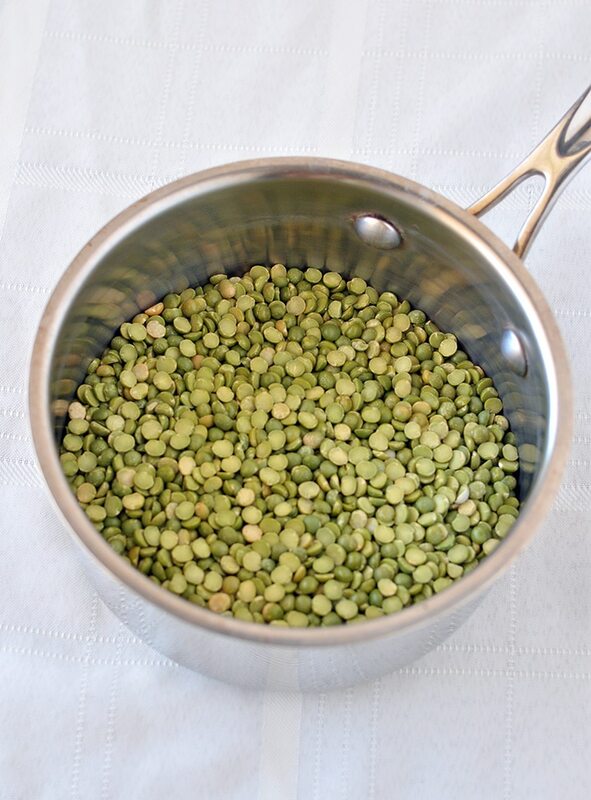 It starts with these beautiful split peas. This is perfect for summer cookouts and parties. The tomatoes also add some nice color and pair well with the mildly sweet flavor of the peas. Most recipes for split peas are soups, but I wanted to utilize them in a different way. They were perfect in this pesto. So I ask you to take the Pulse Pledge with me – a 10 week commitment to eat more pulses (at least once a week) in 2016! The perfect salad for summer. Light, fresh and bursting with flavor! Cook the pasta according to the package instructions. Set aside to cool. In a food processor, combine the cooked peas, pine nuts, nutritional yeast, basil leaves, garlic and salt. Blend until smooth. If you need to, add water until you reach a desired consistency. In a large bowl, mix the pasta and pesto together. Add the tomatoes and garnish with parsley. Serve immediately, or store in the fridge up to 4 days. Enjoy! "Pea Pesto Pasta"--say that ten times as fast as you can--LOL! !